The newest wedding venue in town has been unveiled and we are excited about sharing this with you! Flag’s is a well-known name in the hospitality industry and after starting out in 2005, they have come long way and have expanded the business across the city. In 2005, brothers Lawrence and Joseph Sequeira started the business with a goal to introduce vegetarian fine dining in Malad. The venture was so popular that they inaugurated a banquet hall in the vicinity within the next three years. Another restaurant under the group followed in the next couple of years and their success was unmatched when it came to hotel and banqueting services in the area. The Flag’s Avant Garde followed next and within a short span of time it became one of the most sought after venues in Andheri. They are back to the limelight with the plush and expansive Marve Marquise by Flags in Malad. 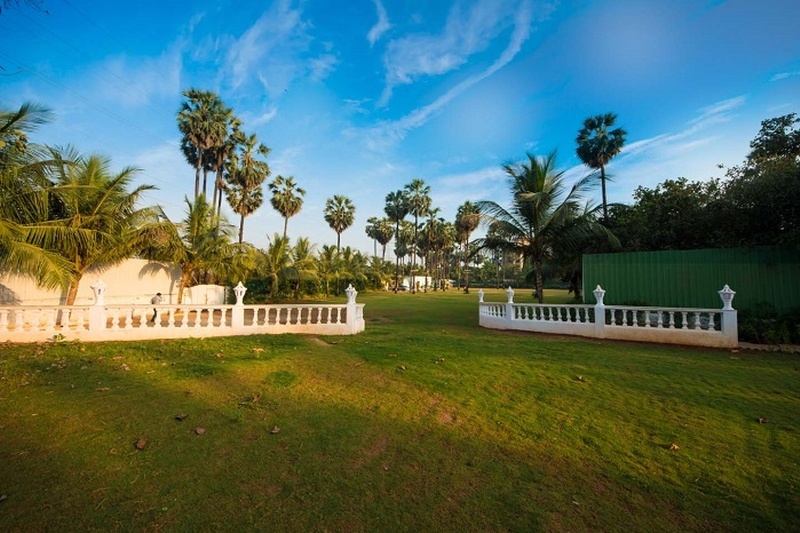 The lush green lawns spread over an area of three acres and are surrounded by gorgeous palm trees. The beach side property is the most sough after banquet hall in Malad also has well-paved pathways and enchanting waterfalls. At Marve Marquise, you can enjoy a romantic and lavish wedding with up to 5000 guests. The decorators can do a fantastic job of making the wedding lawns absolutely spectacular for your wedding day. From beautiful themes to various color schemes - they can do it all. This banquet hall in Malad is also in close proximity to major areas in Western Suburbs, making it a great choice for weddings, receptions and corporate parties. At Marve Marquise by Flags, your dream wedding is sure to come true!